Our cruise ship shore excursions give Hawaii cruise ship passengers in Hilo and Kona the best opportunity to experience the best sites on the Big Island. Specific tours have been developed to account for your limited time on shore. Because each of these Hawaii tours is private, you can develop your own itinerary and we will adjust to accommodate your particular schedule and interests. Standard Hawaii cruise ship meeting time at the port in Hilo is 0830 (8:30am). If you would like to meet at a different time or see additional sights along the east coast of the Big Island that are not included in one of these tours, please complete this short form and we will help you develop a custom tour. 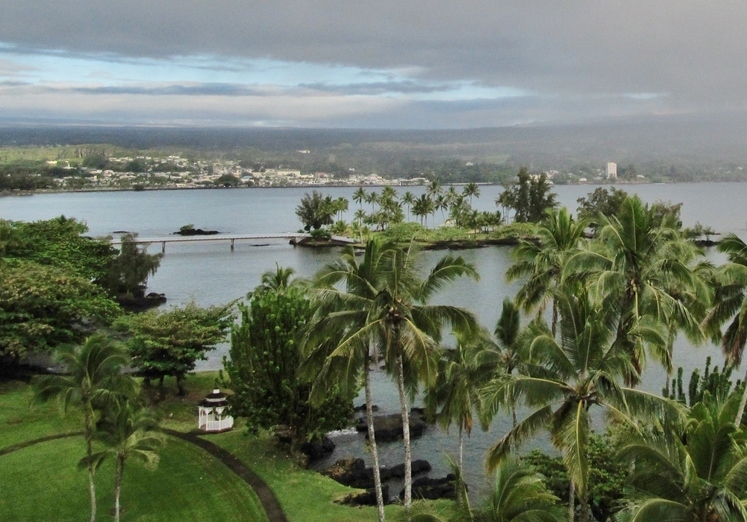 Follow this link for more ideas of things to do in Hilo. Click on each of the links below for a more detailed description of the tour. See some of Hawaii's most iconic waterfalls, travel along the scenic Hamakua Coast, visit historic sugar plantation communities of Laupahoehoe and Honoka'a, and enjoy magnificent views at Waipi'o Valley. We will visit Rainbow Falls before traveling up the Saddle Road to the top of Mauna Kea, the highest mountain on Earth. Enjoy out-of-this-world views and see the giant telescopes of the Mauna Kea Observatory. Weather permitting. Not available for travelers with heart conditions or young children. Enjoy many of the magnificent sites in the Puna district south of Hilo. Everyone should experience the marvel of Hawaii Volcanoes National Park at least once. And if you've visited before, it changes all the time. After you are shuttled from your Hawaii cruise ship to the Kona pier, we will meet you next to the Visitor Information and Aloha signs on the pier at 0800 (8am). Because each of these tours is private, if you prefer a different time we can adjust accordingly. If there are places you'd like to visit on the west coast of the Big Island that are not included in the listed tours, please complete this short form with your request. Follow this link for more ideas of things to do in Kona. One of the most fascinating aspects of the Big Island is the well-preserved historical sites. Tour several areas that are a significant part of Hawaii history, and enjoy the Kona coffee experience at the only living history coffee farm in the country. King Kamehameha I was the great ruler that unified all the Hawaiian Islands into the Kingdom of Hawaii. Visit the temple that played the key role in this unification, the king's birthplace and other historical sites on the Kohala Coast. For hiking enthusiasts, we welcome you to join us in exploring the coastline of the Big Island. We will visit two of the most stunningly picturesque beaches on the Big Island as we walk along part of the historic Ala Kahakai trail.